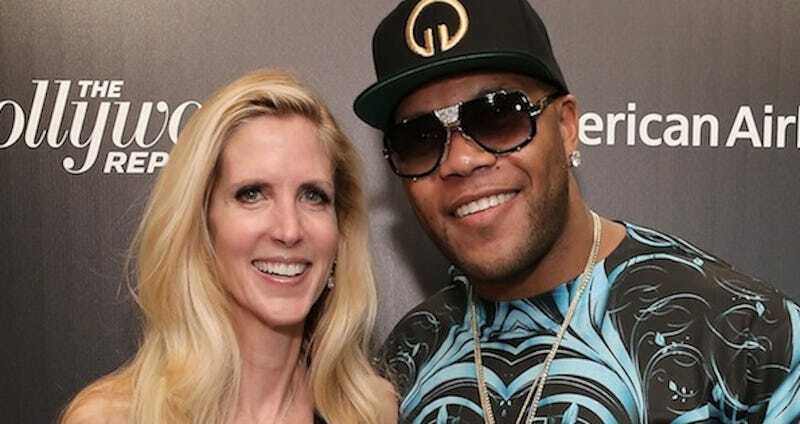 On the left, we have Ann Coulter, who once said, “Liberals love America like O. J. loved Nicole.” On the right, Flo Rida, who once said, “So that birthday cake get a cobra/Buggati for real, I’m cold bruh/That auto-biography rover/Got the key to my city it’s over/It’s no thots, only Anna Kournikova’s.” In the middle, a billion of the universe’s most sacred and unknowable secrets. In lieu of an engagement ring, I’d accept a framed 20X30 inch print of this to hang directly over my bed. The uncropped version can be seen (and meditated upon) below.